Is it a bottle or a glass? 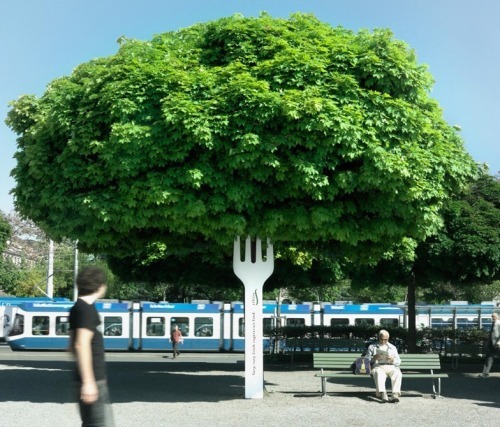 For Tibits, a large vegetarian restaurant chain in Switserland, over-sized forks have been produced to be fixed to trees in major parks and in main outdoor shopping areas all over Switserland. 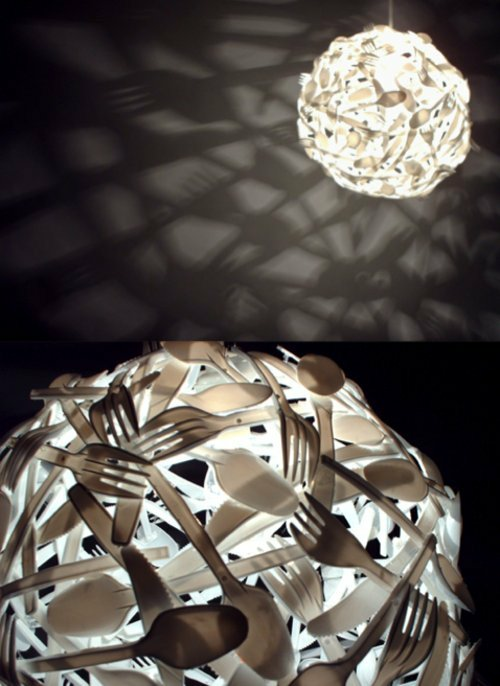 In an surprisingly new manner the freshness of Tibits food could thus be demonstrated to people walking by.